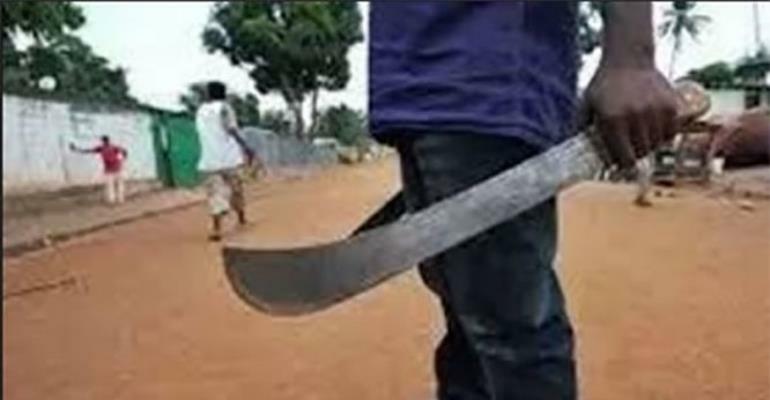 A 60-year-old man has been brutally butchered by some unknown assailants at Odumase, near Konongo in the Ashanti Region. The deceased, identified as Tuahiru Mohammed, was killed in front of his house. Tuahiru left his house to pray at the mosque around 2 am last Thursday but was ambushed and killed by unidentified people in front of his house. The unidentified killers, who were wielding machete, slashed the right cheek of the man, resulting in a deep cut. The attackers also used the machete to cut the right arm of the hapless Tuahiru, who reportedly cried in pain. The shouts of the victim attracted the attention of the others in the neighborhood, who rushed to offer support to him but the attackers managed to escape. He was rushed to the hospital but died in spite of the efforts by the medical personnel to save him. When contacted, Supt. Opoku Koduah, the Konongo District Police Commander, confirmed the incident and said the police were investigating the case. He said the death is an isolated case, stating that security situation in the area is firmly under the control of the police. Supt. Opoku Koduah stated that the police would do everything possible to arrest the culprits of the dastardly act to face the law.